Israeli food goes kosher and upscale at this new Brooklyn eatery. 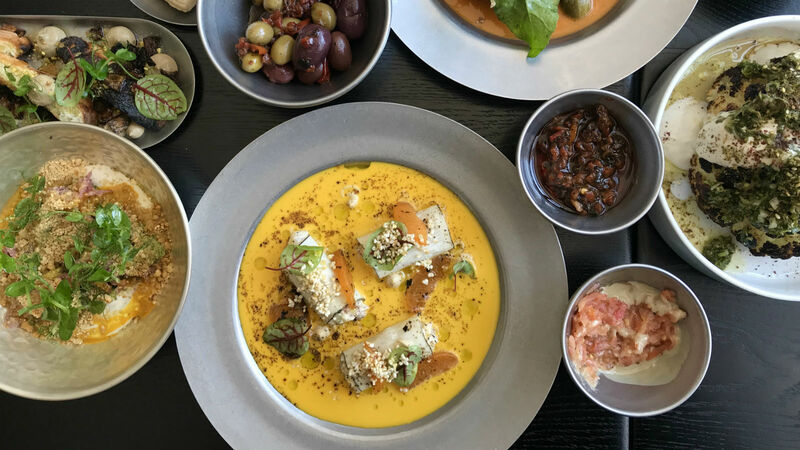 Israeli food is hardly a new trend here in America — it seems like every week there are new Israeli-inspired eateries opening up coast to coast, from Portland Oregon, to Boston, Massachusetts, and everywhere in between. There are documentaries. There are lectures. Israeli food is here to stay, and we’re not complaining. 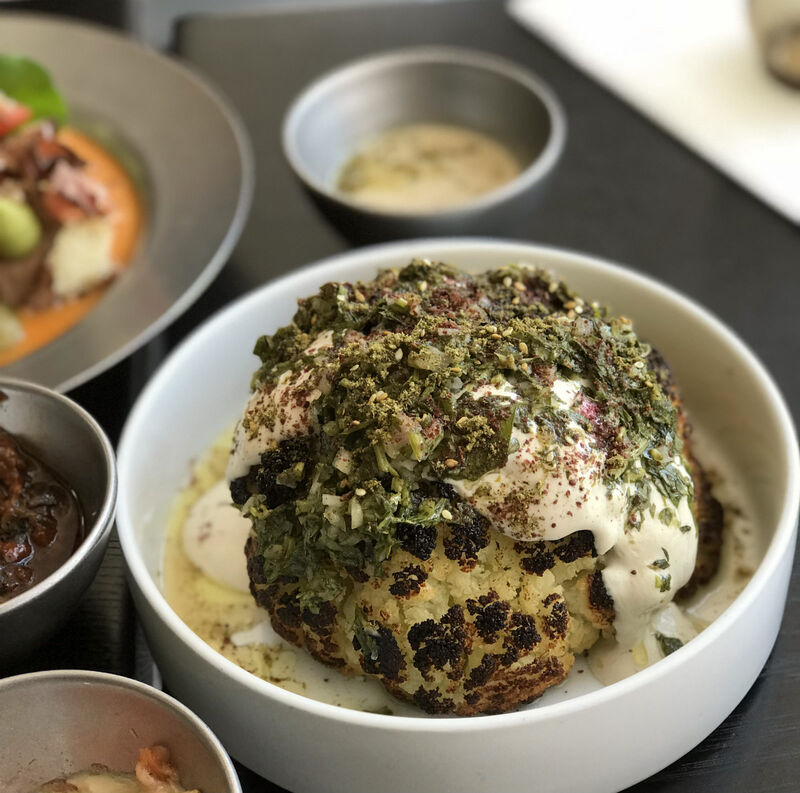 While there are dozens of casual, kosher falafel and shwarma restaurants all over America, there hasn’t been a kosher restaurant (that has lasted) serving up authentic, upscale, well-executed Israeli food until ALENbi Kitchen opened in Brooklyn in November 2017. The story of ALENbi Kitchen begins, of course, in Israel. Chef Elior Balbul first started cooking as a kid making “romantic dinners” for his parents. His favorite story to tell is that, during the preparation for one of these dinners, he did not have fresh lemon to make Israeli-style chopped salad, and so instead chose some white wine vinegar for its acidity. His mother and he realized in this moment he had a knack for flavor balance. Balbul started working in restaurants when he was 17 years old and went on to train with Chef Meir Adoni over the course of six years. He began by working in some of Adoni’s non-kosher restaurants, like Catit, and went on to be the head chef at Blue Sky, Adoni’s high-end kosher restaurant in Tel Aviv. After three years with Blue Sky he went back to Catit but knew he eventually wanted to move to New York City and open a kosher restaurant there. It took some time to find the right business partner and then the right space for the restaurant. But eventually Balbul met Judah Schlass and after 18 months, the two opened ALENbi. In April 2017 his mentor Meir Adoni also opened an upscale Israeli restaurant in Manhattan called Nur. Balbul wanted to bring “the flavor of Israel to Brooklyn” and he is certainly doing that. But not with bowls of hummus or stuffed pita sandwiches — he is reinterpreting classic dishes and elevating them to a fine dining status: deconstructed falafel, Israeli souvlaki (which reminded me of a fancy shwarma platter), whole roasted cauliflower with za’atar, and even an updated chopped liver called “drunk liver” which is silky and unctuous, served with Jerusalem bagel bites. 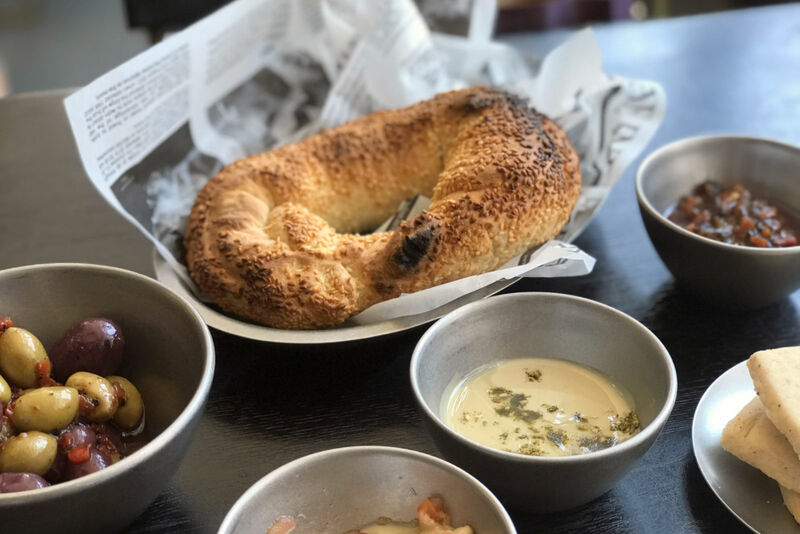 They have in-house pastry chefs creating savory (non-dairy) shortbread cookies made with fennel, cinnamon, and black pepper, an upscale krembo-inspired dessert (a classic Israeli treat), and yes, those fluffy, dippable Jerusalem bagels. You can see Adoni’s influence in the presentation of Balbul’s dishes in all the best ways: The colors are beautiful, the dishes are perfectly garnished, and you basically feel like you are eating a work of art. A very delicious work of art. 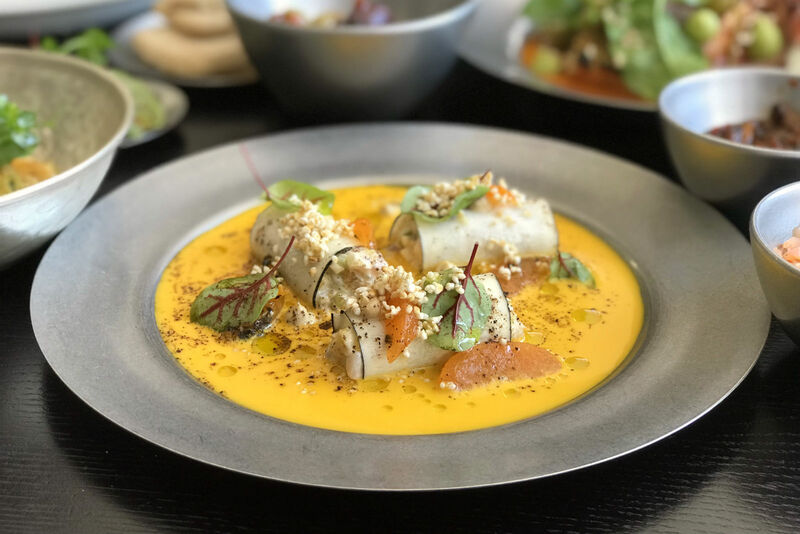 And it’s not just he food that is beautiful — the restaurant itself is bright and modern, with many of the pieces being shipped directly from Israel. Balbul shared that his mom did a lot of the design. Okay, everyone together: awwwwww. Even the bathroom is gorgeous. I don’t usualy say things like this, but, you should go check it out. It’s seriously worth the schlep. ALENbi Kitchen is located at 887 Nostrand Avenue in Brooklyn.